How Do I Sequence My Offers? 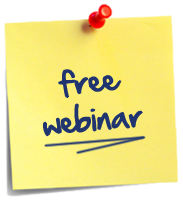 Wondering how to create and fill your high ticket coaching programs? I work with thousands of experts in our community who are creating “teaching others” businesses sharing expertise through online courses, coaching and and consulting. To avoid these problems you need a way to serve many people at once and align the value of your time with the value of the results you generate for clients. One of the easiest ways to create massive demand for your high ticket coaching or consulting is to “flip your funnel”. When you flip the traditional funnel, you have a main offer that enables you to serve many people at once. An online course is by far the best way to serve one-to-many. Many of the people entering into your main offer will be ideal candidates for your high ticket coaching or consulting programs. Your most invested clients will naturally want to go deep with you in your more intensive support programs. Once your online course is up and running, you have a natural flow of leads coming into your higher ticket coaching programs. Once our clients implement the Expert Experience Method in their business, they can often selectively invite the right clients into their high ticket coaching and consulting offers. Let’s look at examples of how you can make available a main offer, next level offer, and a high level offer. You will see that your ideal high ticket offer may be different from another expert’s based on what you want to get up and do every day. 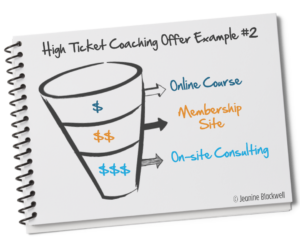 You might think that high ticket coaching must always be delivered one-to-one. This is not always the case. You can offer your clients deeper access to your expertise in many different ways. There are many different ways that you can work more intimately with your clients to help them get results. The one thing you must have is a main offer that enables you to serve one-to-many. The main way that you serve your clients must be scalable. What you choose to offer as your high ticket coaching or next level of support can look different. I like to think of building your high ticket coaching offers as snapping Lego blocks together to build your perfect business. You start with an online course because you can serve a lot of people that way and then you get to snap on what the next level of support and next level of access to you looks like. This is a very common business blueprint for coaches and consultants. You offer an online course as your main offer. The next level of support that you make available to your community members is small group coaching experience. Your highest level of support offered is one-to-one coaching. One expert in our community primarily works with Fortune 500 companies. Companies send their employees through her online course. She then offers ongoing support to the graduates of her courses and workshops through her paid membership site. Her high ticket offer is actually what you would traditionally call “consulting”. She has packages that we worked to develop together to go on-site into organizations and work with them to implement her methodology. She books her entire year of consulting from the corporate students in her programs and her speaking engagements. If you are a technical expert such as a graphic designer or web designer or an SEO expert, you likely have clients that just want you to do the work for them. You can still offer an online course as your main way of serving. You might offer a small group coaching programs in which you give feedback or critique websites, SEO, or even do an SEO audit. Your high ticket offer then becomes done-for-you packages. This allows you to serve clients with different budgets. The great side-benefit of approaching your business this way is that it quickly creates more demand for your done-for-you services. Higher demand enables you to confidently price your offers at a premium level. Choosing the right offer can be as simple as thinking about what you want to get up and do every day. If you don’t like traveling, you’re not going to offer on-site consulting as your high ticket coaching offer, right? Instead, you might choose virtual small group coaching or virtual one-to-one coaching. Give yourself permission to your business based on what you like to do. If you downloaded my newest (free) book, The Expert Called YOU, you have already met 8 experts who created a business and life they love sharing what they know. 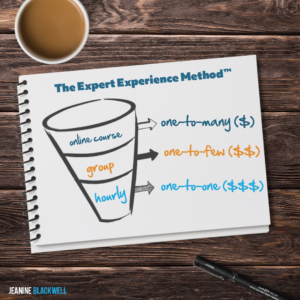 The one thing that all of the experts in the book have in common is they have a way to serve one to many and an online course allows you to do that and allows you to have reach and at the same time have deeper level offers to create even deeper impact with your clients at a higher investment point. Free 170+ Page Book: Behind-the-Scenes of 6- and 7-Figure Expert Businesses: Click here to get your free copy of The Expert Called YOU, How 8 Experts Built a Business and Life They Love, Sharing What They Know (and How You Can, Too).